No experience to win disaster recovery government contracts w/ Gov. RICHARD LYNN SCOTT? Defeat him. Vote for U.S. Senator Bill Nelson on or before November 6, 2018. It's our money. Soon after Hurricane Irma slammed into the state, Gov. Rick Scott made the decision to ignore the debris removal contracts already in place in the Florida Keys and instead push forward with a plan to issue emergency contracts for the lucrative work of clearing fallen trees and palm fronds, as well as the remnants of destroyed homes and trailers. One of the companies selected had no previous emergency debris removal experience, while more qualified firms were prevented from even submitting bids. The governor’s emergency contracts will end up costing taxpayers an additional $28 million to $30 million, according to an analysis by CBS4 News. On Cudjoe Key, damaged homes and streets littered with debris were left in the wake of Hurricane Irma, which struck Monroe County on Sept. 13, 2017. Emergency contracts for the pickup and removal of debris have stirred criticism because of their high cost. Hurricane Irma ravaged Cudjoe Key, including this home, on Sept. 13, 2017. Despite local debris removal arrangements already in place, Gov. 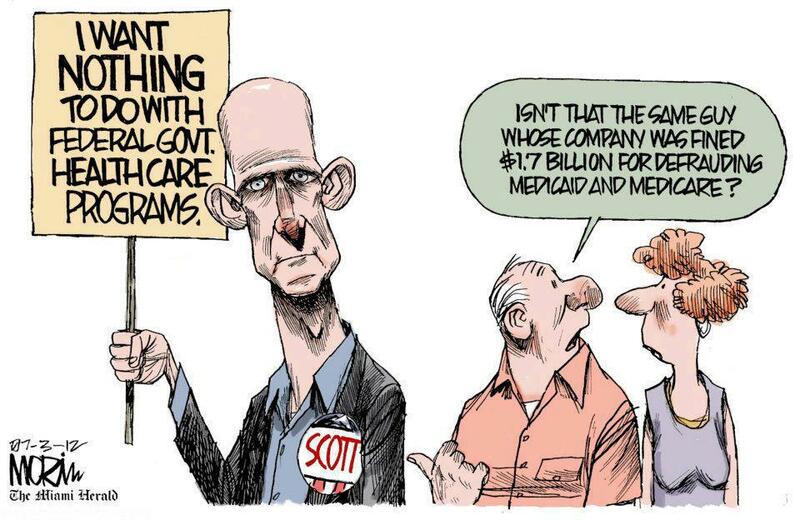 Rick Scott awarded emergency contracts to two companies. Brad Morris with Monroe County Fire Rescue trims a fallen tree from a neighborhood in Cudjoe Key. The island community took a direct hit. Furniture carried away by Hurricane Irma's storm surge is strewn next to the road in Cudjoe Key on Sept. 15, 2017, two days after the storm. Emergency contracts to haul away the debris were awarded by Gov. 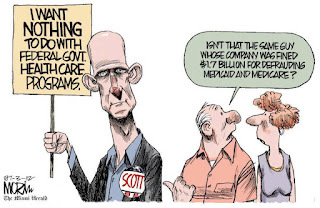 Rick Scott, despite local arrangements already in place. Michael Bernard with Monroe County Fire Rescue trims a tree from a Cudjoe Key roadway on Sept. 13, 2017. Hurricane Irma left the island community devastated.